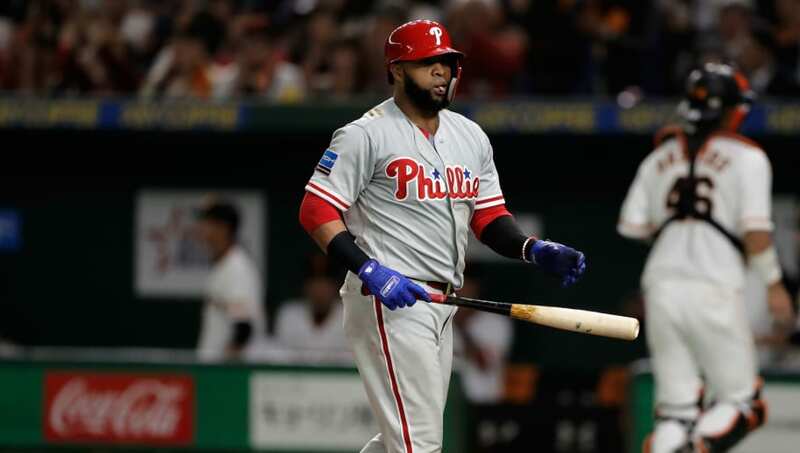 With all of the Philadelphia Phillies offseason activity, making sure the team has solid chemistry is the most important step in ensuring the talent on paper turns into results on the field. It seems that last year, that chemistry was not present in the Phillies clubhouse during their late-season collapse. According to Jeff Passan, during the Phillies final regular season series against the Atlanta Braves, multiple players were playing the popular video game "Fortnite" during the game. The lack of attention to the real game enraged first baseman Carlos Santana so much that he smashed the TV in with a bat. Santana was not the only one upset about the incident. Veteran pitcher Jake Arrieta also said that had he known what was going on, he would have taken a similar course of action. Given this dysfunction, the Phillies have made it a priority this offseason to improve the clubhouse dynamic. To do so, manager Gabe Kapler formed a committee of 13 players to help develop clubhouse policies to hold all players accountable. Since the incident, Santana was traded to the Seattle Mariners, which eventually shipped him to the Cleveland Indians. Phillies general manager Matt Klentak says that moving Santana was moved to let Rhys Hoskins play first base, his natural position, rather than punishing Santana for breaking a TV. With a loaded lineup, it seems that the only question left for the Phillies is how their players will work together. However, the one thing we do know for sure is that any team bonding activity certainly will not involve Fortnite.